Dr. Ana Antonetti was raised in Pensacola, FL. She attended Florida State University where she obtained a Bachelor of Science in Exercise Science. Dr. Antonetti received her medical degree in 2011 from Saint Matthews University College of Medicine, Grand Cayman, Orlando, FL campus. She did a one-year residency rotation in Family Medicine at AnMed Health in Anderson, South Carolina prior to transferring to the Obstetrics and Gynecology residency program with the University of Florida College of Medicine at Sacred Heart Hospital in Pensacola, FL. She completed her OB and Gynecology Residency in June 2017. Dr. Antonetti was awarded the Best Research Project in the Division of OB/Gyn at Sacred Heart Hospital, Pensacola, FL in 2016. 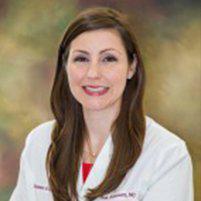 Dr. Antonetti began her practice with The Women's Group in July 2017 and continues to welcome new patients.